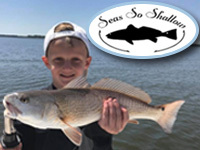 Seas So Shallow guide service specializes in inshore fishing for Redfish, Flounder, Sea trout, Cobia, Tarpon, Sharks, Bluefish, Spanish Mackerel and a few other species. 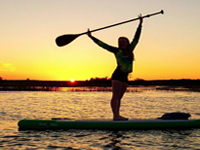 When it comes to outdoor adventure, Beaufort has all the bases covered. Beaufort fishing and watersports are truly second to none. Reel in the big one in Beaufort – or get out on the water to enjoy the Lowcountry from a whole new perspective.